acquista kamagra Oral Jelly 100mg uono compresse efficaci contro l’eiaculazione precoce. Principio attivo - Sildenafil. 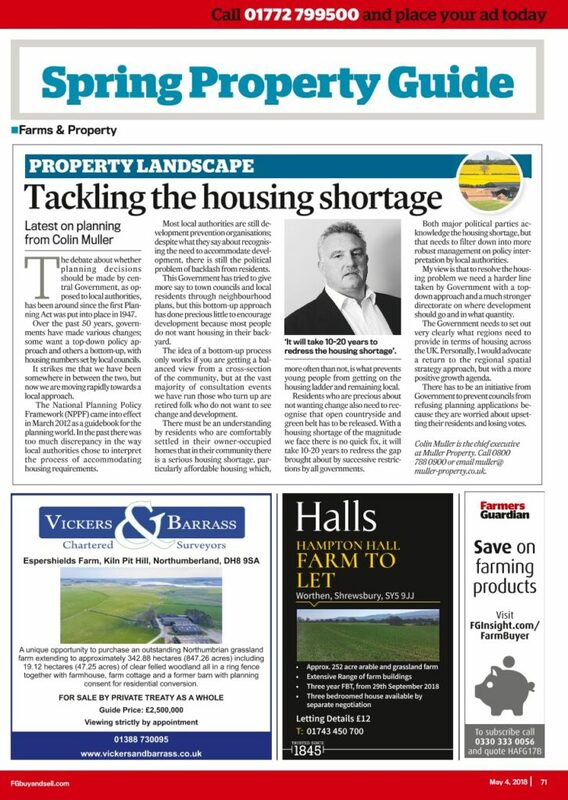 Vendita Kamagra Gel a prezzi bassi con la In the second of his submissions to Farmers Guardian magazine, our chief executive Colin Muller talked about the debate over whether planning decisions should be made by central government or local authorities. buy accutane canada online This is a debate that has been raging since the first planning act came into force 71 years ago, but Colin says in his opinion the ‘bottom up’ approach of giving councils more power doesn’t work, as they are too easily swayed by their electorate. There are plenty of people out there who don’t want to see development in their area, and aren’t afraid to be vocal in their objections – and local councils are afraid to approve applications if they think it will lose them votes. According to Colin, this means most local authorities are still ‘development prevention organisations’, despite what they may say about recognising the need to accommodate development. He said: “The government has tried to give more say to town councils and local residents through neighbourhood plans, but this bottom-up approach has done precious little to encourage development because most people don’t want housing in their backyard. The National Planning Policy Framework (NPPF) came into effect in March 2012 as a guidebook for the planning world, but Colin says it is not enough if the housing shortage is to be addressed. “There must be an understanding by residents who are comfortably settled in their owner-occupied homes that in their community there is a serious housing shortage, particularly affordable housing, which more often than not is what prevents young people from getting on the housing ladder and remaining local,” he added. “Residents who are precious about not wanting change also need to recognise that open countryside and greenbelt has to be released. With a housing shortage of the magnitude we face there is no quick fix, it will take 10 to 20 years to redress the gap brought about by successive restrictions by all governments. He says the government needs to set out very clearly what regions need to provide in terms of housing across the UK. “Personally I’d advocate a return to the regional spatial strategy approach, but with a more positive growth agenda,” Colin added.